Why a conductor? This was the question that a recent psychological study posed, the findings of which were published in the Psychology of Music journal this week. The study found that "the motives most strongly evoked were the ones linked with emotions and emotional needs." 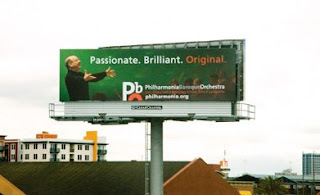 This is how Nic (pictured larger than life above) described his role as conductor: "Compared with, say, a virtuoso violinist, conductors are less concerned with the how of music and more concerned with the why — why the composer wrote it that way, and how best to share what you believe about that piece with the audience, through the orchestra."